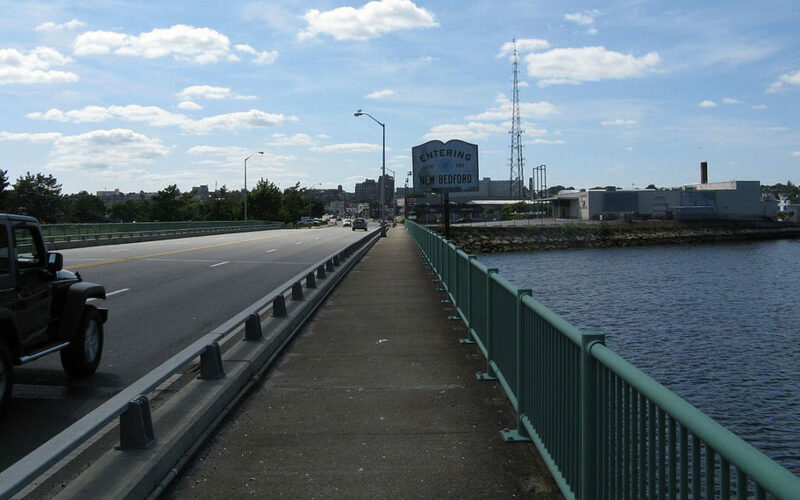 During the summer months our historic Massachusetts and Rhode Island cities like New Bedford, Fall River, Providence and Newport see a boost of drivers from other states navigating our highways and streets. While this is generally good for the local economies, there is a downside… distracted drivers. Distracted driving is the leading cause of car accidents, motorcycle accidents, auto-bicycle accidents and auto-pedestrian accidents. When a driver is a tourist in an unfamiliar city, odds are they will be using they’re devices to search for points of interest, “map” them to destinations, make reservations, check hours, etc.. One of the best things that we can do to crack down on distracted driving is to educate and promote safe, responsible driving habits. Laws on device use while driving vary from state to state. When you’re traveling or vacationing in an unfamiliar state it’s important to know the law of the land. Here is a brief breakdown of the MA & RI laws as of July 2018. Massachusetts – While there is a proposed hands-free bill going through the Massachusetts Senate and House of Representatives, it is currently legal to safely and responsibly talk on a hand-held device. Texting while driving however, was made illegal in Massachusetts back in 2010. The current penalties for texting while driving in Massachusetts are: 1st offense-$100, 2nd offense-$250, 3rd or more offense-$500. Rhode Island – Under the R.I. Hands-Free Law, if a police officer observes you holding a phone and talking or texting while driving, you will be pulled over and may be fined up to $100. The use of headphones or other accessories that cover both ears also is not allowed. Drivers will be able to use in-car or other hands-free systems or accessories like Bluetooth. Pull over or wait until later to use your smartphone – While you’re driving, a smartphone should only be used for emergency purposes. Even then, it’s always best to pull over safely to the right shoulder to make a call. Even hands-free devices can cause you to miss important visual and audio cues needed to avoid a crash. Avoid habits like eating while driving – Being busy is no excuse for distracted driving. Scarfing down a quick lunch while heading to your next destination may seem like a time-saver, but it means you are less attentive to the drivers around you. Food spills are a major cause of distraction. Do your multi-tasking outside of the car – Many people spend a lot of time in their vehicles, and it may seem like the perfect time to get little things done: searching restaurants, searching for good music, maybe even text messaging. Don’t do it. Focus on the road and the drivers around you. Get everything settled BEFORE you start driving. Have a navigator or use a proper dash-mounted GPS device – The safest bet of course is to have someone in the passenger seat help you navigate a GPS device, but if you need to do it yourself make sure to have your device mounted on your dashboard at eye level. It’s MUCH safer than glancing down at your phone for the next direction. If you are drowsy, pull off the road – Drowsy driving increases the risk of a crash by nearly four times. A government study showed that 37 percent of U.S. drivers have nodded off or actually fallen asleep at least once during their driving careers. If you feel tired, get off the road; don’t try to get home faster. Look twice, save a life – Driving extra cautiously may save the life of a motorcycle, bicycle or pedestrian in your blind spot. If you or a family member have been injured any type of a car accident due to a distracted driver’s negligence, contact us to speak with one of our experienced attorneys. We’ll help you to get the settlement that you deserve.